Professor in Media and Communication Policy, Petros Iosifidis, recently revealed the extent of the “acute crisis” in Greek journalism in a paper for the Open Societies Foundation. Here, he discusses the issues facing the troubled industry. How would you describe the development of the Greek media, up to the present day? Print media emerged in Greece alongside the struggle for independence from Ottoman rule and developed hand-in-hand with the growth of political life in the new nation-state. Television broadcasting was introduced in 1966, with the first network, the Hellenic Broadcasting Corporation (ERT), broadcasting out of the capital Athens as a state-owned monopoly. Throughout the 1980s and 1990s the trends toward commercialization and deregulation allowed the entry of various commercial channels that increased the viewing options for audiences. Many media outlets appeared in a small market of just 11 million people, to the extent that the media landscape today displays an excess of supply over demand. Thus private television expanded rapidly, but it strives to adjust to a pluralistic profile in a highly politicized and commercialized environment, driven by increasing populism. Meanwhile, levels of media market concentration have risen as newspaper publishers diversified into television to increase profits in a largely unregulated and non-transparent media market. These developments have had broad implications for democracy, media pluralism, and journalistic independence. The effects on Greek journalism of media commercialization, market expansion, and intertwining interests have been devastating. Although journalism appears to play an active social and political role, setting the agenda and representing the ordinary citizen, it is in fact heavily influenced by the self-regulatory constraints imposed by media organizations. The ongoing financial crisis and recession have affected the media sector as a whole and many media outlets have become financially unsustainable. Newspaper circulation has fallen dramatically; meanwhile, financial pressures have resulted in tighter relations between the media, politics, and the economic system (including banking), as well as increasing reliance on advertising, with a significant impact on the journalistic profession. In parallel, the closure of the public broadcaster ERT in 2013 further undermined pluralism and media output. ERT might now be reopened, but it remains to be seen if it will perform as a truly independent public broadcaster. What are the major publishing groups and who leads them? The Greek media market is dominated by a handful of powerful newspaper interests, which have expanded into electronic media following the liberalization and deregulation of the media market in the late 1980s. The most important publishing groups are Lambrakis Press S.A. (owner of TA NEA), Tegopoulos Publishing (owner of Eleftherotypia), Pegasus (Bobolas family) (owner of Ethnos), Press Institution S.A. (now D. Mpenekos and A. Skanavis) (owner of Eleftheros Typos), Alafouzos family (owner of Kathimerini), Vradyni Ltd (K. Mitsis) (owner of Vradyni), SYRIZA (Left Coalition Party) (owner of Avgi), and the Greek Communist Party (owner of Rizospastis). The mainstream media broadly support the government policies and rarely take a critical stance on significant political matters. What has been the impact of the economic crisis on newspapers and journalists? 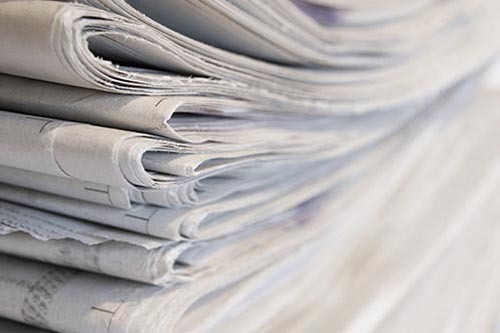 The financial crisis, together with the tough fiscal austerity measures—including heavy reductions in salaries and pensions and numerous layoffs in the public sector—have accelerated the downward trend in newspaper circulations. This has had an impact on the employment of media personnel in general and print journalists in particular. More than 20 per cent of Journalists’ Union of Athens Daily Newspapers (JUADN) members are estimated to be unemployed, while about 30 percent have temporarily interrupted work as they do not get paid. The national collective agreement currently determines a monthly salary of €581 gross (€490 gross for those aged 25 years or less). The informal economy has grown because of austerity and journalists are compelled to do piece work and under any conditions that the employer decides. The closure of particular media organizations has been devastating. The shutting down of ALTER television in 2012 led to about 800 redundancies, including journalists. The closure of three public television channels and several public radio stations in 2013 resulted in the laying off of about 2,700 permanent and 300 temporary employees (the new left-wing SYRIZA government pledged to reopen ERT and reemploy its staff, but this will depend on the ongoing negotiations with the European and international creditors). In the case of Imerisia newspaper (which belongs to Pegasus S.A., one of the big media organizations), of 150 personnel in 2011 fewer than 30 remained in 2013. Across the entire Pegasus S.A. enterprise (which also comprises the Ethnos newspaper) there are 430 left out of an original 1,500 employees. At the same time, salaries have been reduced by 60 percent. What risks do journalists face in Greece? Journalists are often faced with accusations and lawsuits for defamation or violation of one’s privacy and exposure of personal data. Large sums of compensation can be sought in cases of insult or libel and this is considered a serious hurdle to freedom of expression and in particular to investigative journalism. The legal framework is incapable of protecting individuals from yellow journalism and has become a weapon in the hands of powerful businessmen. Public figures and well-know journalists can be prosecuted. A striking example is that in October 2011, investigative journalist Kostas Vaxevanis was arrested and charged with violation of privacy over the publication of the “Lagarde List,” disclosing Greek tax evaders with Swiss bank accounts. Vaxevanis was tried and acquitted twice (the second time in November 2013). However, he has been constantly involved in lawsuit cases in recent years. The triangle of power between economic interests, politicians and the media create circumstances that are quite unfavorable to objective and investigative journalism. Dealings between entrepreneurial interests (including banking ones) and the state can take many shapes and forms, including often using legislation to accommodate particular business interests. Such dealings are often ignored in the mainstream media, where a code of silence prevails resulting in an extensive cover-up of scandals. More recently, growing violence and physical attacks against journalists have also been visible. More explicit practices have been followed, including blatantly false claims, direct threats against journalists’ personal and family life, conspiratorial practices involving forgery, secret surveillance, or burglaries and stealing of sensitive data. In most cases, these incidents have not been covered by the mainstream media at all. A recent report by the Reporters without Borders highlighted the risks involved in reporting during demonstrations. A number of journalists have been attacked and injured during protests against the country’s austerity measures. In April 2012, Marios Lolos, president of the Union of Greek Photojournalists, was beaten by the police while covering a protest and had to undergo brain surgery. Journalists were also attacked by individuals affiliated with Golden Dawn neo-fascist party, such as the SKAI reporter Michael Tezaris who, according to Freedom House, was beaten by members of Golden Dawn at an anti-immigrant demonstration. What is the position of the major national newspapers on the European Union? The majority of national newspapers pursue a pro-euro stance. 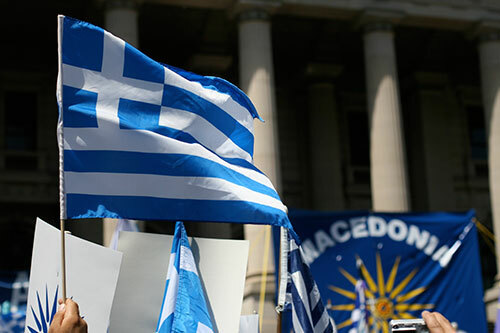 This coincides with the wishes of most common Greeks who want their country to remain in Europe and the eurozone. Exceptions are the newspaper Avgi (which is owned by SYRIZA, the Left Coalition Party and currently the government, and Rizospastis (owned by the Greek Communist Party). How do you assess the future of media in Greece? Despite the current difficulties, the future of Greek journalism can be bright. Nowadays the availability of alternative media can expose the affairs that generate confrontation between the individuals whose interests have been revealed (entrepreneurs and politicians) and the journalists involved. The magazines Unfollow and HotDoc have been on the receiving end of many lawsuits for exposing scandals or business deals. Also, media collectives, formed by students, bloggers, and online activists, have exposed social unease with government policy and have reported on police violence. Further, the rise of the internet is of increasing significance, as it offers a platform for journalists who have been excluded, persecuted, or simply presented with no alternative. Click here to read Professor Iosifidis’ paper, Media Policy and Independent Journalism in Greece, which was written with Dr Dimitris Boucas, of London School of Economics.